Mali Mish - Day 78: Leaving Jackson Center a few bucks lighter. Day 78: Leaving Jackson Center a few bucks lighter. Our last ‘free’ night at the Terraport would probably be the last full hookup site we will be at for a long time to go. From here we are going to be courtesy parking at the Troutstream compound, then off for a couple nights of boondocking before finally getting into Louisville to see our friend Carrie. We will need to store the Airstream somewhere during our stay there that can accommodate Yoda to stay in the Airstream without costing us too much dough. God knows we left it all here in Jackson Center. 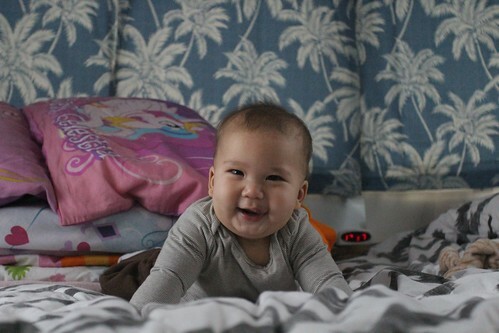 Luka is starting to eat some solid foods now that he turned 6-months old. As if on queue, his second tooth popped out as well on the bottom. 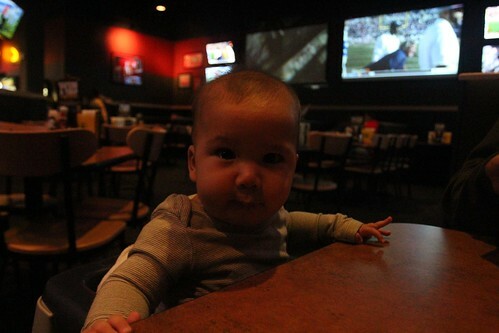 During out last trip, we had already made it all the way to Weeki Wachi in Florida when Mila’s first tooth popped out. Since we didn’t have a 7am wake up call, we reverted back to our usual schedule of sleeping in until about 10am. We hitched up and started making our way out of the Terraport with a stop at the dump station first. Even though our site had full hookups, the sewer connection was too far away from our sewer valve. 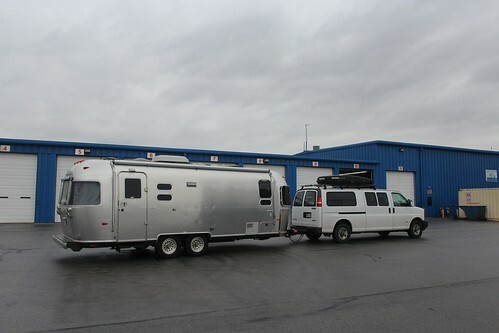 Many Airstreams have their valve in the rear, street-side corner of the trailer. Ours however is in the middle. We have been using an extended garden hose to drain the gray tank while we used the city water so we needed to do a full dump before leaving. As I pulled out of our site and made our way to the dump station, I noticed that our new brakes are not responding. At the usual setting on the brake controller, engaging the brakes at driveway speeds will quickly bring the rig to a complete stop in under a second. Now the new brakes are not doing anything. The van and trailer just coasts along in idle as if the brakes are not even engaged. Since we have no plans of coming back here anytime soon, we needed to make sure all of the adjustments were done properly before we leave. This mean I had to go in once more and talk to my buddy John Hodgman. I continued and explained the situation to him and he agreed to have a mechanic come out to take another look. Surprisingly, when I threw a bit of attitude towards him for the first time, his completely changed. Now suddenly John Hodgman was polite and agreeable and even wore a smile on his face when we spoke. I guess some people just don’t realize how inappropriate their behavior is until they get a negative reaction from it. Oh yeah, btw, Airstream needs to spend some of that service center money to hire a licensed plumber and upgrade their plumbing in the building. 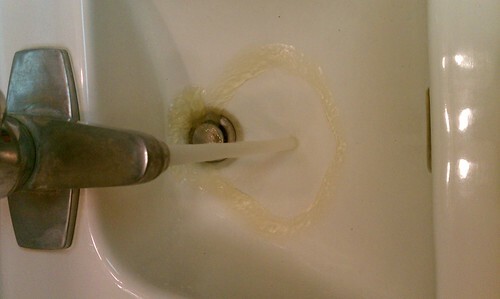 That brown rusty water coming out of the bathroom faucet is not good for business. A mechanic named Kevin came out to troubleshoot the brakes with me. And guess what, Kevin is very knowledgeable and extremely nice to deal with. He patiently spent time working with me and testing the brakes. He said that sometimes these brake shoes take a bit of time to set in when they are new. He also agreed to pull it into a bay just to double check the work just in case. We had intended be on the road by now since Ava had a meeting with her teacher today on Skype. Every 20 school days, she and Marlene meets teacher Stephanie who is back in California online to check on her kindergarten progress. We had intended on doing this in the Airstream during lunch. Since we are waiting for Kevin to check out our brakes, we used the free Wi-Fi at Jackson Center instead. Our pilgrimage to the mothership has officially come to an end. It was a mix bag of positive and negative experiences but I think it is one that had to be made. I hope I have not discouraging anyone to come here for a visit as I am sure our experience does not represent anything in general except that you need to be ready to pay a ‘factory premium’ on services rendered and products purchased. If you are simply passing by and don’t need any work done, the $10 a night rate at the Terraport along with free coffee and factory tour is something every Airstreamer should experience. 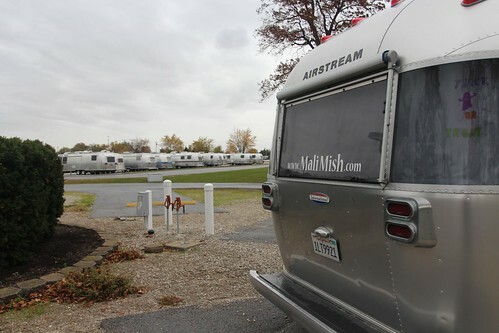 Another thing I would note is that we didn’t get the feeling of being at the holy land of Airstreams while we are here. After all, this is not the birthplace of Airstreams. That place, which no longer exists, would be Wally Byam’s backyard of his former home in Los Angeles in the late 1920s. Jackson Center became a second factory location in the 1950s to be closer to the rest of the RV industry which is located in the nearby town of Elkhart, Indiana that we passed by a few weeks ago. The factory in Los Angeles closed in the 1970s and a lot of the magic of the original factory closed along with it. 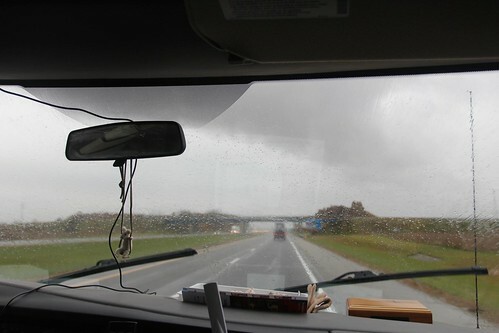 Finally, with everything checked out and deemed roadworthy, we headed south towards Dayton, Ohio. As we head south, we are actually chasing the autumn. 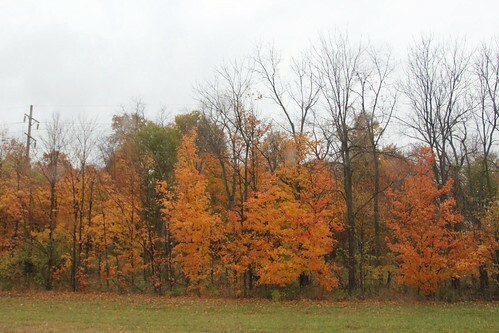 The colder Michigan has most likely shed most if not all of its leaves by now. As the climate is getting slightly warmer in this direction, we are prolonging our fall experience here in the midwest. 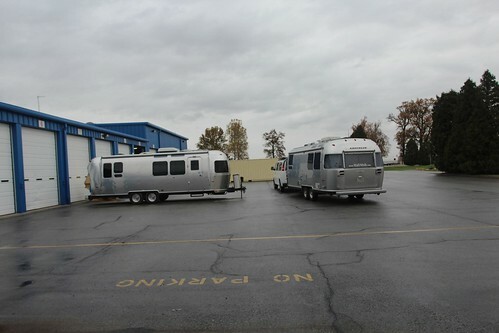 Day 77: Getting our Airstream back from service. Day 79: National Air Force Museum in Dayton, Ohio.